We are a nation addicted to tradition, collectively comparing today to “how things used to be.” Conservative Republicans promise voters that they will restore this country to the grand nation that it once was. We just can’t move past the 60’s. In effect, we have stunted our nation. We are a 40-year old man, able to balance a beer on our rotund bellies, yet still wearing the Letterman jacket from our “glory days.” Poverty and joblessness rampage our nation and college is no longer the barrel of radioactive goop that gives all graduates the superpowers necessary to navigate this rocky job market. Perhaps the heyday of college is over. The locks have changed, and a college degree is no longer the skeleton key we consider it to be. 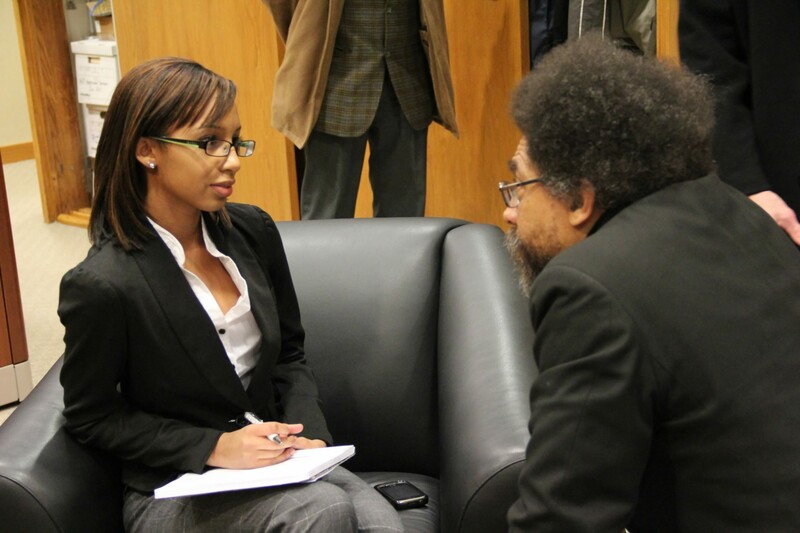 “Richard Wright never made it past 9th grade, you know.” I was sitting across from Dr. Cornel West, his eyes twinkling while he said this, before he raised one eyebrow, as if cluing me into a secret. One month later and of the 15 minutes we spoke for, these words have resonated the most. I’d been fortunate to land an interview with the provocative philosopher when he spoke at the Rochester Institute of Technology for our annual Expressions of King’s Legacy. I was, in fact, the only interview he allowed during his visit. We spoke of the rampant poverty and when I asked him, a man who’d taught/studied at Union Theological Seminary, Yale, Harvard, and the University of Paris, whether a degree was worth it, he only confirmed what I thought: We make the degree. A degree is nothing more than the paper it is printed on. To give it true value, we must “self-educate,” he said. It has been duly noted that to battle with today’s economy, a college degree is not enough and maybe never it truly was. But is self-education enough without a degree? To assume that it is would be to mirror retroactive ideas that anyone who is literate can become contenders in this race to the top. Therefore, I am suggesting, like Dr. West, who climbed to the highest possible rung of education and attained a doctorate yet who has also never stopped reading and paying attention to society in order to teach himself, that we combine the two. And to students of acclaimed collegiate programs, we must remember to never stop learning and even when we have walked the stage and we think that there is nothing left to be learned, Dr. West, a public intellectual, still reads for at least three hours every night. ← Forget Superman, it’s all about Today’s Superkid! you guys did so good, i hope for good things after people watch this.